On March 14, so-called proximity talks began in Geneva, pro-Western Syria envoy Steffan de Mistura acting as go-between for opposing sides, not meeting face-to-face, likely to resolve little or nothing. How long talks continue remains to be seen. They’re scheduled for 10 days. US/Saudi-backed terrorist groups comprise opposition elements, their demands unacceptable. They want puppet governance replacing Syrian sovereign independence, the nation federalized as a step toward partitioning it into easily controllable mini-states. Israel wants a regional rival removed, Iran isolated. 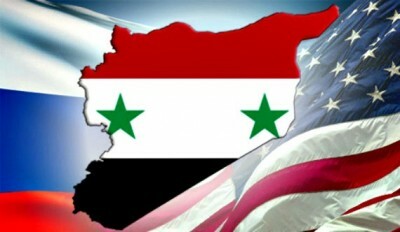 Longstanding US plans call for regime change, replacing Syrian and Iranian independence with pro-Western proxy states. The Middle East remains a cauldron of endless wars, violence and chaos. Peace and stability defeat Washington’s agenda. What strategy is planned to continue Obama’s war on Syria remains to be seen. Imagine the horrors next year if neocon Hillary Clinton becomes America’s 45th president, committed to endless imperial wars, unchallenged US global dominance, more aggressive than any of her rival aspirants. Russia’s military success in Syria elevated its geopolitical influence, stature and importance. At the same time, US hostility remains unchanged. No occupation exists. Crimeans overwhelmingly voted by national referendum to return to Russia, correcting a historic mistake. Self-determination is a universally recognized right. Crimeans won’t tolerate foreign interference. The Republic of Crimea is one of nine Russian Federation districts, including the federal city of Sevastopol, home to Moscow’s Black Sea Fleet. Washington wants all sovereign independent nations replaced by US controlled vassal states, notably Russia, China, Venezuela, Iran and Syria – wars or color revolutions (aka coup d’etats) its strategies of choice. US and Israeli policymakers want the Middle East map redrawn. The road to Tehran runs through Damascus. Replacing Assad with pro-Western governance isolates Iran, turning a Syrian ally into an enemy. What’s ahead in Syria remains to be seen. Russia maintains a reduced military involvement, hopefully enough by Putin’s calculation to assure important won gains aren’t lost. Syria is in the eye of the storm. Its liberating struggle remains far from over, conflict resolution nowhere in sight.